What does it mean to be ‘battle born?’ Literally, it means to be conceived during a time of historical turmoil, most commonly born during a war. However on a deeper level, battle born has many implications. If you’re battle born, you’ve been through hardships, you bear scars, you’re a survivor. There is a certain pride in being “battle born,” a sign of having earned your stripes, of having paid your dues. Nevada is the “Battle Born” state, so named because it received its statehood during the Civil War, and if it paid its dues in the 1800s it is sure making up for it now. Its lenient marriage and divorce laws and legal gambling and prostitution are most of what are responsible for drawing tourists to Nevada every year. Much of the population in Nevada resides in Las Vegas; coincidentally, so does all the fun. 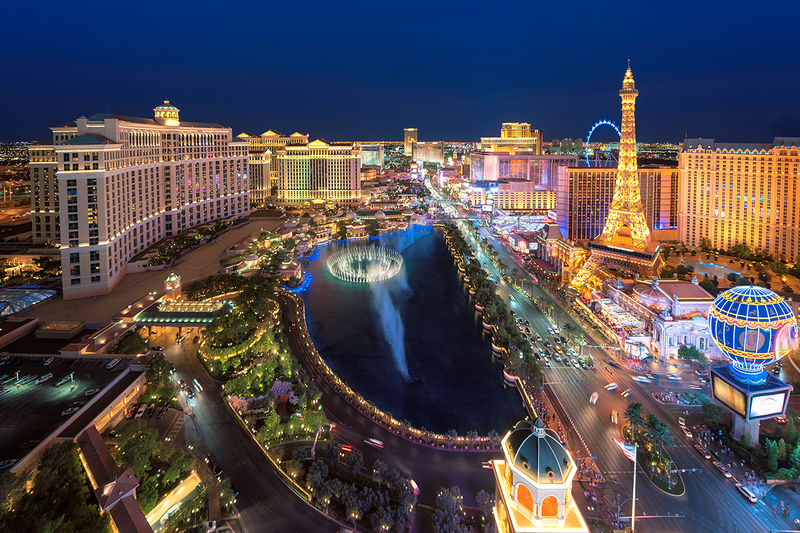 Known as “The City of Sin,” there’s a reason people say, “What happens in Vegas, stays in Vegas.” The Entertainment Capital of the World, Las Vegas is best known for its mega-everything. From gambling to luxury hotels, fast cars to endless buffets, the city may be the most decadent city in the world, and one of the richest. When you’re in Las Vegas, you’ll hear a lot about hitting the strip. The Las Vegas strip is the casino and resort hotel-filled part of South Las Vegas Boulevard that is the heart and soul of Las Vegas. If you’re looking for big action in Las Vegas, you need not look further than this 4.2 mile stretch of highway. So what does “hitting the strip” actually mean? It means walking through the MGM park outdoor retail space and grabbing a burger at Shake Shack. It means taking in a show at “Circus Circus.” It means visiting the exploding casino at the Mirage. It means hanging out at an all-day pool party at the Hard Rock Rehab. It means jumping off the Stratosphere from a bungee cord — and yes, it means plenty of gambling, eating, and drinking. Although you never need an excuse to drink in Las Vegas, you can always find one. In fact, some of the beer and wine events in Las Vegas are so massive, they’re worth planning a trip around. The UNL Vino features a night of champagne, a night of sake, and a grand tasting full of artisanal beers, wine and food from some of Las Vegas’ finest restaurants, and the Great Vegas Festival of Beer by Motley Brew is quickly becoming a Las Vegas favorite. The Giada is the first and only restaurant owned and operated by celebrity chef Giada de Laurentiis, complete with a window view of the intersection of Las Vegas Blvd and Flamingo, and a not-to-be-missed destination for any serious foodie. While Nevada’s nickname may be the “Battle Born State,” the word Nevada actually means “snow covered,” which may seem somewhat ironic considering the state is the driest in the U.S. and that the southern third of the state is completely covered by the Mojave desert. Apparently, the name is taken from the Sierra Nevada mountain, which is snow-capped all year around. However, the Americans seem to be more concerned with what you can do in the state than about the derivation of its name, and with plenty of good reasons. Our Lavelier stores are located in Las Vegas. If you’re going to hit the strip all week long, make sure your skin won’t be bearing the effects. Drop by one of our stores for a therapeutic skin-healing experience and mask away those late nights at the casino, bar, and outdoor restaurants with a skin-reviving facial by our skincare specialists.